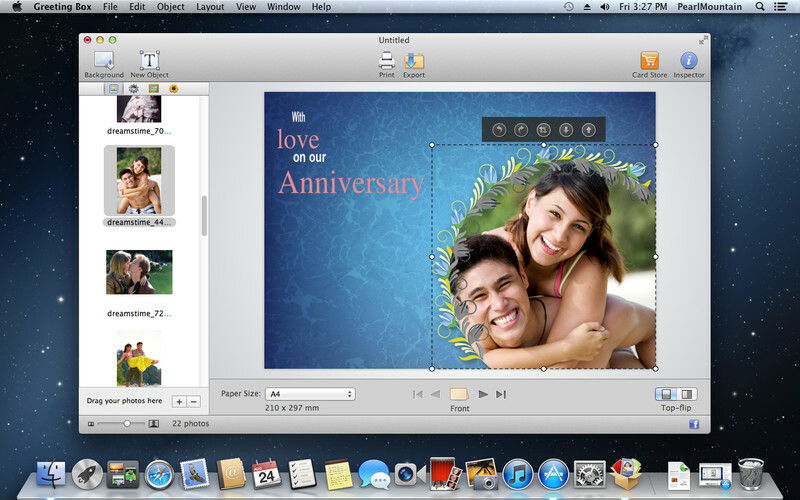 Greeting Box is an easy to use and powerful application which provides you a more convenient and fun way to create personalized greeting cards for any occasions and holidays on Mac. 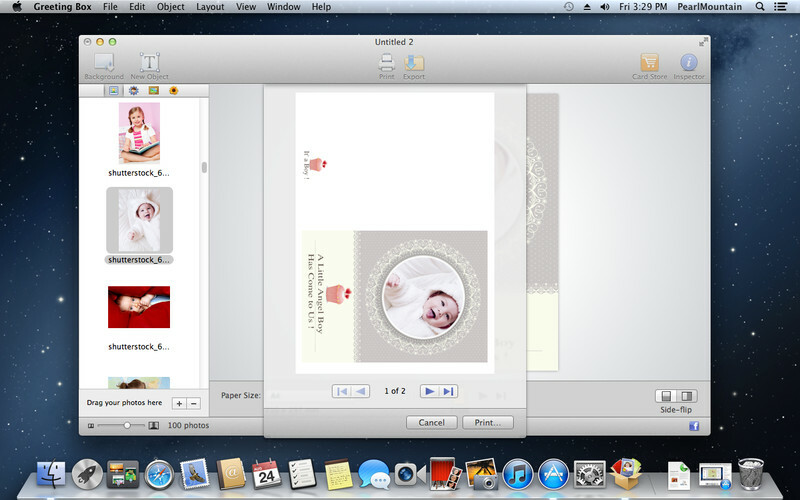 You can add your photos into the card and customize the card freely. With Greeting Box, you can send your personalized warm wishes to your loved ones and better keep in touch with acquaintances and friends. Greeting Box comes with 30+ delicate templates and numerous art resources for practically any holidays and occasions, such as Birthday, Wedding, Anniversary, Christmas, Thanksgiving, etc. Using Greeting Box is as easy as 1-2-3. You can simply select a template, add your photo, text, clipart, background, and other elements you want, and then print, email or share your card. 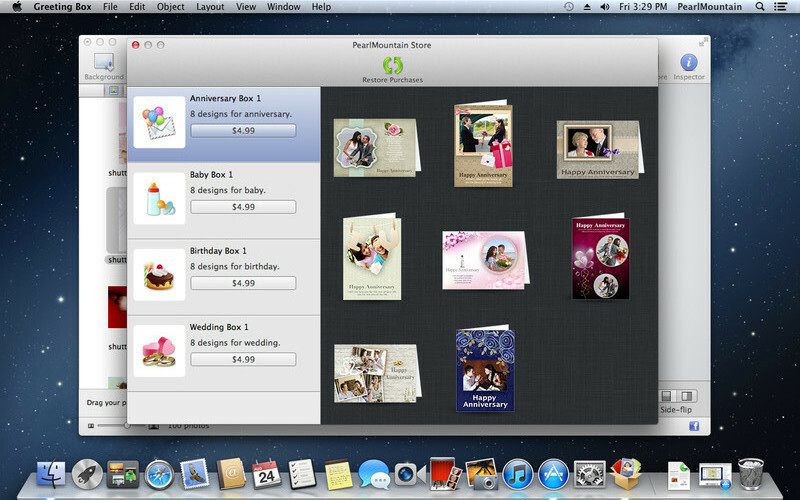 Greeting cards can be personalized easily with intuitive interface. 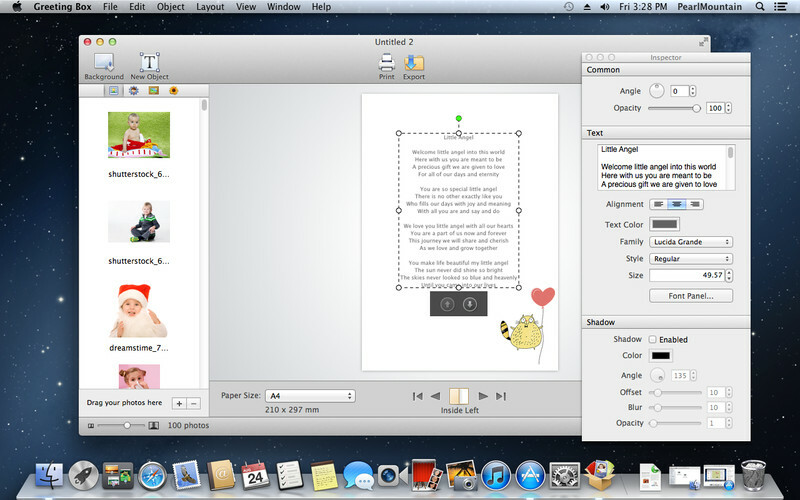 It provides lots of art resources and design features for customizing the card perfectly. 30+ different diverse templates have been provided to help you to extend your creativity fully by designing creative and distinctive greeting cards. Templates are suitable for any holiday and occasion, like Birthday, Graduation, Christmas, Thanksgiving, Wedding and so on. 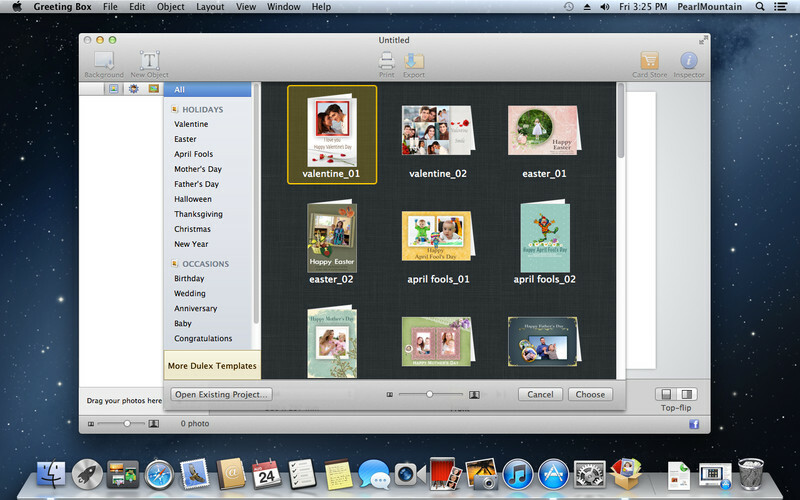 Drag and drop your photos into your card simply. Move, rotate, resize and crop photos with a few mouse clicks. Various background patterns are avilable along with different frames, masks and cliparts to help you create special artistic effects. You can save card as different image formats, save and share it with your near and dear ones via Email and even print your self-made greeting card directly in half-fold. Supported OS: Mac OS X 10.7 or above operating system. You can download it free from Mac App Store. This entry was posted in Free, Graphics Management and tagged PearlMountain.